Our Experience With DryNites® and Why We Love Them! This is a sponsored post written by me on behalf of DryNites®. All opinions are 100% mine. Bedwetting can be and is a very sensitive subject, and I am one parent who wants that to change and so this is why I'm writing this post. Bedwetting is a perfectly normal part of growing up and affects almost 600,000 children in the UK every year alone. Just like thousands of us worldwide suffer with asthma, thousands of us worldwide have accidents during the night for whatever reason, but that doesn't make people in that category a bad person, or a stupid person, or a disabled person and whatever else people want to label them. I was one of those children who use to have accidents during the night, right up until the age of 15. In fact, if I didn't have Spud when I did, I'm not too sure when it would've of stopped, if it ever would of. Don't get me wrong, it hasn't been the easiest of things to write, and so many times I've wrote down them words and then changed the sentence but I thought no, enough is enough. 10 years on at the age of 25, I'm finally ready to talk about this subject. Spud also has the same as me, he regularly has accidents and so uses DryNites, a product I luckily got to use for a few years when I was a child. Prior to their existence there wasn't much my parents could do. The doctor did try to put me on medication but my parents were so disgusted and shocked at the common side effects of the medication, they didn't let me take the medication, and so too would I not allow this with Spud, I would rather buy DryNite products each week and know my child is safe. It's important for children to feel confident during their bedwetting phase so when they're ready to overcome it, they don't feel bad or scared about doing so and so we use DryNites in our household to help Spud. If you don't already know, DryNites are a night time protection product designed for children to make them feel more comfortable and confident at night time. 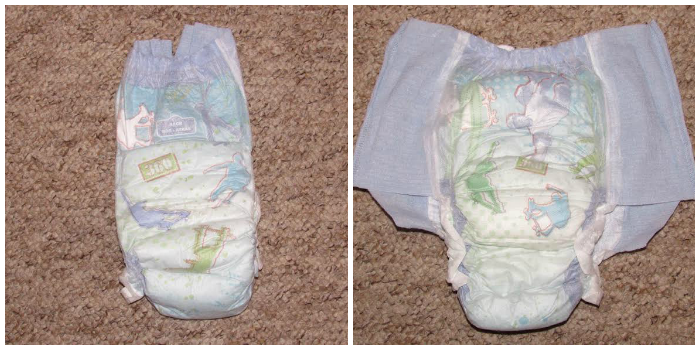 DryNites are very comfortable and very stylish for children, there are currently two different DryNite products. First of all there is the bed mats, they can be used for children who only sometimes have accidents, or for all round protection every night which is what we choose to do. They have a stick and stay design for ultimate undercover confidence. They're highly absorbent with a waterproof backing and stay in place for a great night-long protection. L: As they appear from the packaging. R: Once opened up for the child to put on easier. You also have the DryNites pyjama pants, they come in three different age/size groups which are 3-5 years, 4-7 years and 8-15 years, each age group has two different designs, mainly based on boys and girls. The pyjama pants are one of my most favourite inventions in the world, they are soft and stretchy with their sides being snug making sure a more comfortable fit. The materials are quiet and the fit is very comfortable, making them look like normal underwear once underneath nightwear. 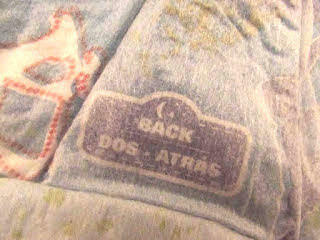 The pyjama pants have a small printed label helping your child distinguish the back of the product. 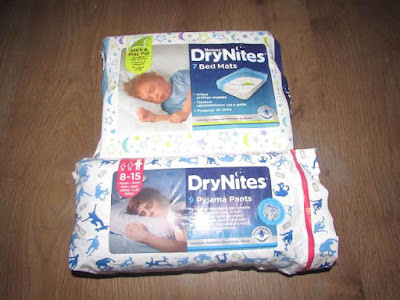 Developmental changes like overcoming bedwetting can be a daunting process for kids, but DryNites is aiming to help give children the confidence they need to help them become fully dry throughout the night, although everyone understands that it's not always this easy. DryNites also help children like my Spud fit in, they ensure he can attend sleepovers around friends houses as he will wake up in a dry bed. L: Front view underneath pyjamas. Middle: Side view underneath pyjamas. R: Back view underneath pyjamas. The DryNites® Confident 24/7 campaign aims to provide parents with helpful tools and advice to boost their child’s confidence and overcome challenges such as bedwetting. DryNites products offer discreet age-appropriate protection for your child to help them feel as grown up at night as they do during the day. To find out more about the DryNites range, and to order your free sample, visit the official DryNites® website. DryNites are available to buy from all leading supermarkets and health stores.